A weak cold front moved through South Florida Sunday, bringing cooler air into the region with winds from the north holding skies mostly sunny Monday. Expect a refreshing start in the 60s Monday morning, as seasonable highs will reach the lower 80s by the early afternoon. 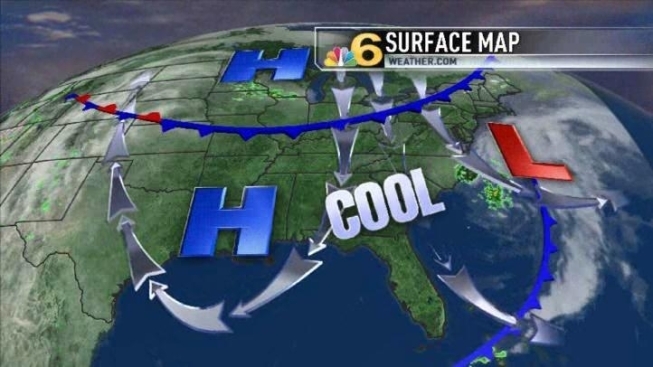 High pressure will keep the clouds and showers limited early week, especially Monday. As the system slides off the east coast, it will become breezy Tuesday and Wednesday. A few more clouds will be carried onshore will a quick shower or two expected.